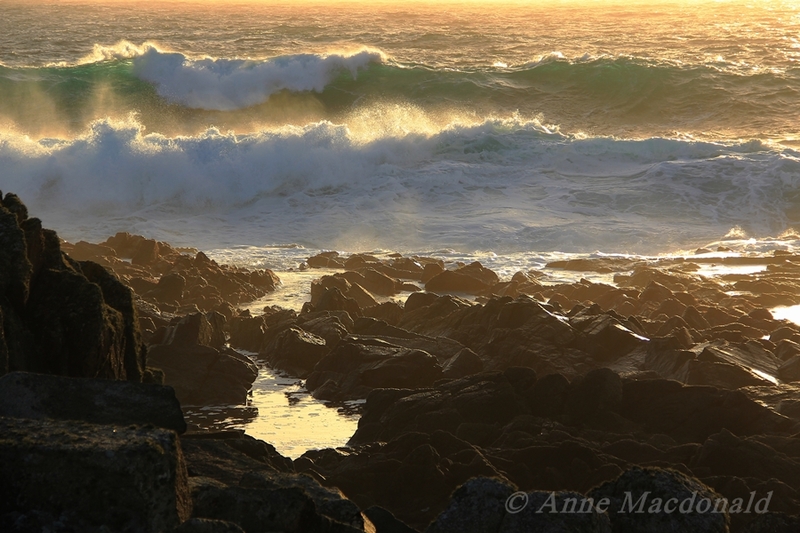 Sunlit waves breaking off the shore at Hamnavoe, Shetland, near the Fugla Ness Lighthouse, built by David Alan Stevenson in 1893. David Alan Stevenson was a scion of the famous Stevenson family of lighthouse engineers who built scores of lighthouses around the Scottish coast. His grandfather Robert oversaw the construction of the famous Bell Rock Lighthouse in 1811, and Dunnet Head in 1831. Robert’s sons David and Thomas (father of author Robert Louis Stevenson) built 29, of which the first three were built by David alone; a third son, Alan, built another 13. David Alan (who was David’s son) built three lighthouses with his uncle Thomas before striking out on his own and building an amazing 91 lighthouses between 1890 and 1938, many of them together with his brother Charles Alexander. Anne lives in the Shetland Islands. She fairly recently discovered an interest in photography and set up a blog in February 2011 to showcase her work. Head on over to Anne's blog A Zoom with a View and enjoy her wonderful pictures - of Shetland and many other subjects. This entry was posted	on Monday 31 March 2014 at 09:25	and is filed under 2014, Out & About. You can follow any responses to this entry through the RSS 2.0 feed. You can leave a response, or trackback from your own site.